You bet that Black Panther goes where no superhero movie ever perviously dared. 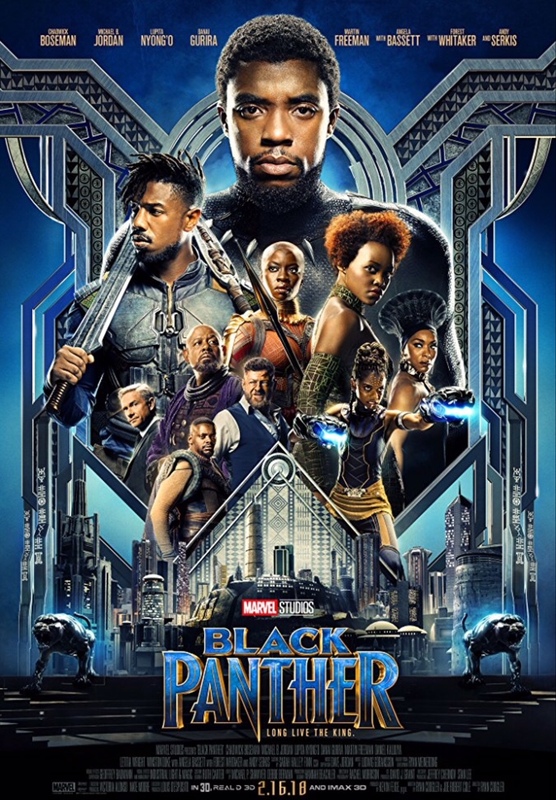 This Marvel Universe breakthrough is co-written and directed by Ryan Coogler, and it primarily takes place in the fictional African nation of Wakanda. Its cast includes younger African American stars Chadwick Boseman, Michael B. Jordan and Lupita Nyongo’o at the top of their craft and long-established veterans Angela Bassett and Forest Whitaker obviously relishing their shot at making their mark in a superhero film. And this story is something that audiences of color cheered long and hard everywhere. As it should be. Its heroes stand tall and fight hard for things good at right and close to their heart: heritage and family and empowerment. Europeans have exploited Wakanda by stealing some of their most precious extraterrestrial resource and using it to build supremely powerful weapon. Boseman, for sure, solidifies his place as a top star. He’d already been big-screen solid as Jackie Robinson, James Brown and Thurgood Marshall, all superheroes in real life, no? All told, the 2-hour, 14-minute film is filled with intrigue and compelling characters to keep this franchise in the Marvel deck. Central New Yorkers can see Black Panther for free at 3:30 p.m. Friday, July 6, at the Liverpool Public Library. It makes a worthy statement, Beth. I loved the movie and your review, Mark. This movie made it happen, Ann. I’m impressed with myself! I have ALREADY seen this movie before seeing your review!!!!! THAT never happens!